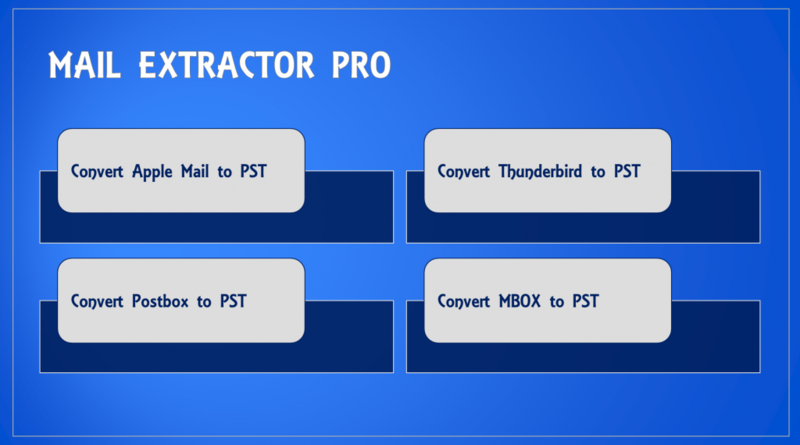 Convert Thunderbird to Outlook Mac or Windows, here is the tool solve all your problems. Thunderbird is a wonderful email client. It has the best features, speed and efficiency. It is used by many practitioners all around the world. However, recently a shift is seen. Many practitioners are switching to Outlook for Mac. This shift is accompanied with the attempt to export Thunderbird database to Outlook for Mac. This is a tough task because no support has been provided by any of the company involved in this process. This article has been written with the sole purpose to solve this issue. There is a tool which we should use to solve this issue. 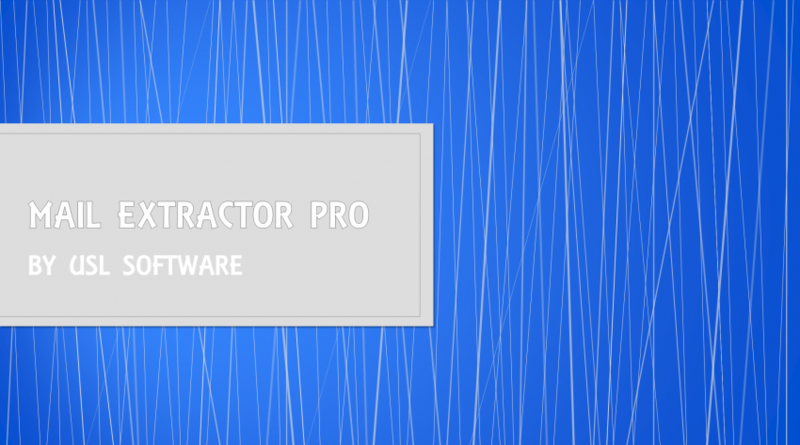 USL Software introduced the tool is called Mail Extractor Pro. It is hard to export Thunderbird to Outlook. However with the help of this tool, we can smoothly export it. The tool also makes the process amazing with the help of its easy interface, best conversions and preservation of folder arrangement. This tool can easily make you forget all about the problems of importing Thunderbird to Outlook. This tool delivers the best conversions. It ensures that converting Thunderbird to Outlook’s PST is complete, safe and as fast as possible. It always helps you to convert Thunderbird to Outlook completely. It leaves nothing behind. The tool also makes the best use of its technology by converting in bulk. The tool is also fully prepared for any task that comes to its disposal. An accurate folder arrangement is every Thunderbird to Outlook’s PST conversion practitioner’s need. This helps them to easily keep track of the converted files. This Thunderbird to PST converter tool keeps the folder arrangement accurately intact and makes locating the converted files very easy. This tool can be operated very easily by everyone. This is another way of making the task easy for its customers. The tool has the best interface which is also very simple. 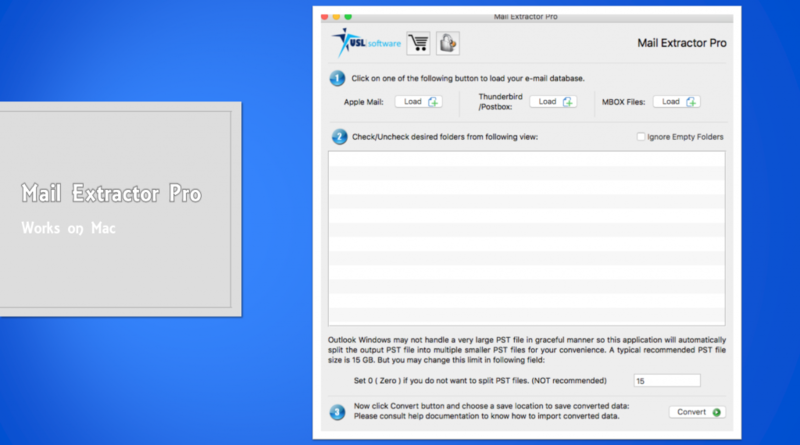 The simplicity of this interface allows practitioners to easily import Thunderbird to Outlook for Mac. To import Thunderbird to Outlook for Mac, one needs a reliable tool. This Thunderbird to PST converter tool is one such tool. However, what sets this tool apart is also its high speed conversion. The tool can easily convert any size of Thunderbird database to Apple mail in the shortest span of time. It never compromises on quality for attaining this task. You need ‘Mail Extractor Pro’. Launch the tool and click on “Load” for Thunderbird. Click “Auto Load”, automatically load entire database. Set PST file limit, if you have heavy mailbox. You can convert Thunderbird for Mac and Windows with it. And you can also import the converted file to both Mac & Windows Outlook. So try it today to migrate Thunderbird to Outlook (Mac/Win) as well as Apple Mail, Postbox & MBOX to PST. To make the decision of buying this tool easier, this tool has provided a free trial version of itself. This can be used by anyone who seeks to verify the claims made by this tool. The tool can also be used by anyone to fully explore and understand the tool. The free trial version of the tool can be downloaded from its company’s website. Download it right now for converting Thunderbird to Outlook for Mac or Windows and see the difference!